Personally I prefer eBook + Audiobook where "Whispersync" keeps all progress updated across devices and services from Amazon to Audible and back again. Oh, and yes, I listen on iPhone and read on Kindle! The list of recommended reading is intended to span "all" topics addressed across various international programs such as ALP, EVP, JVDF, PMC and TRAIL. 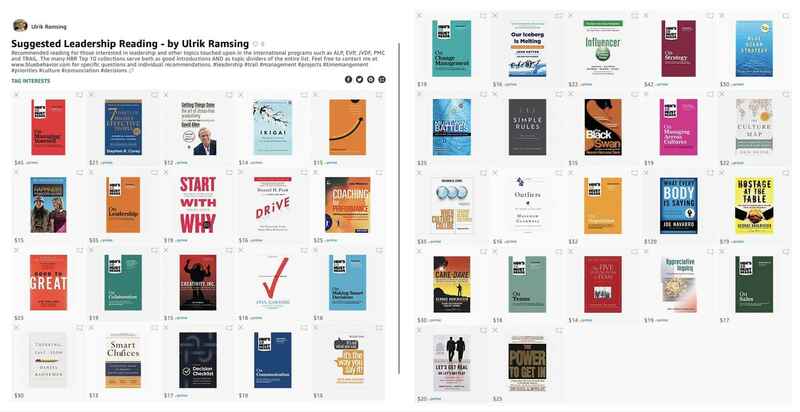 The many HBR Top 10 collections serve both as good introductions AND as topic dividers of the entire list.